Can The National Organic Program Regulate Perfection? I’ve been in the organic industry for several decades now, and there is an increasing trend to move the organic standards towards complete and utter purity. Some in the organic community are clamoring for the National Organic Program (NOP) to regulate perfection in the organic rules. They want zero tolerance, exact measurements and prescriptive protocols. I wonder, can organic achieve ultimate perfection in an imperfect world? To what end does this ultimate penchant for perfection actually harm us? For example, consider one of the latest lawsuits against the NOP. In 2011 the NOP issued guidance on the use of green waste in organic manure. Clippings and cuttings from lawns and gardens are vital ingredients for producing the vast amount of compost needed in our burgeoning industry. Organic farmers simply can’t exist without a good mound of microbial compost churning nearby. In April 2015 the Center for Environmental Health (CEH), the Center for Food Safety (CFS) and Beyond Pesticides filed a case alleging that USDA’s guidance was issued without sufficient public comments and the complete rulemaking process. They suggested that using green waste could create a way for synthetics to contaminate organic compost. On June 20th a California judge sided with the plaintiffs and struck down the NOP guidance, leaving organic farmers everywhere in a muck on what compost they can use. As a result, organic chaos reigns in the absentia of formal guidance. We could see a huge disruption in production. The U.S. Department of Agriculture (USDA) recently announced the actions it is taking to address this federal court ruling that invalidated their earlier guidance. Yet, many organic farmers have been thrust into a black hole questioning how they can best fertilize their land. They may be vulnerable to lawsuits and they may have to resort to expensive testing on every batch of black microbial brew. How will we grow organic acreage if there isn’t enough compost to fertilize the land? What percentage of synthetic materials should be allowed when the very world we live in is contaminated? How perfect can compost be in a polluted world? Another example of this striving for precision is the opposition to any organic production that isn’t grown directly in the soil. You can read more about the debate on hydroponics, aquaponics and bioponics in my previous blog “The Dirty Dialogue in Organic.” These innovative growing methods use a fraction of the water used in traditional farming methods and can grow more food faster while using less acreage. Because the original language in the Organic Farming Production Act specifies that organic practices “shall be designed to foster soil fertility,” the debate is awash with controversy. As we move into the future to feed the 9 billion in all its varied climates and conditions, as new emerging ways of producing food are introduced, should we incorporate some of them into the organic family? Or should we hold steadfast to what has always been done and cling only to the soil in the ground? Should we allow some innovative food systems to be certified to ensure they are chemical free, healthy, and promote ecological balance while conserving biodiversity? In July a sixteen-member hydroponic and aquaponic task force weighed in on whether these practices align or don’t align with the Organic Foods Production Act and the USDA organic regulations. You can read their comments here if you want to take a deeper dive into this tank of controversy. In the end, we must decide if soil is the very definition of organic, and if so, will that make the organic regulations perfect? The organic community is very good at vigorous dialogue and debate, dedicated to complete transparency and excellence. The world we live in isn’t as cut and dry. There are nuances and complications, technological innovations and chemical contamination. If we make organic too strict and prescriptive will we limit the amount of acreage that can potentially be grown without toxic pesticides and herbicides? Do we want organic to be a regenerative movement or a perfectionist circular firing squad? Organic is the most transparent, public open-source standard in the world. Let’s be accessible to creativity and let’s not reject progress for attaining perfection. We need to allow for the most progressive and positive tools for organic farmers. We must grow organic to more than 1% of US agriculture. The National Organic Standards Board hosts this discussion twice a year; they take public comments and give their recommendations to the NOP on the future of organic regulations. It’s a fine balance they must strike to keep organic strong and not regulate it into obsolete purity. If you want to be part of the conversation, plan to show up in November 2016 at the NOSB meeting in St. Louis, MO. Shall we moderate our quest for perfection to reflect what’s right for the planet, farmers and consumers? Let me know what you think. 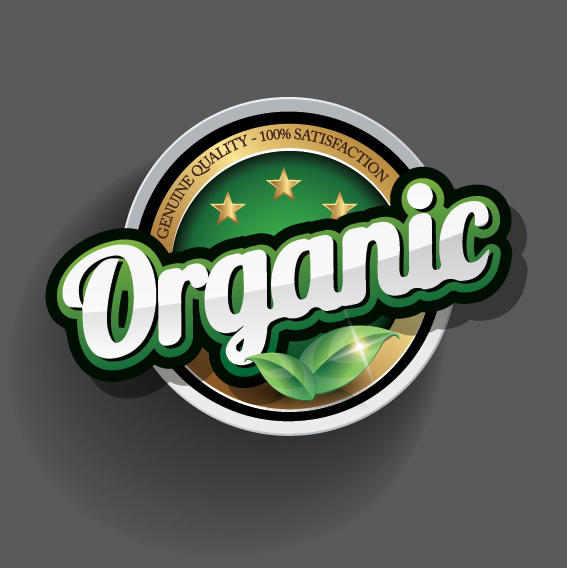 This entry was posted in Environment, Organic Policy and Regulations, What is Organic and tagged Compost, Hydroponics, National Organic Program, National Organic Standard Board, Organic Agriculture, Organic farming, Organic food, Organic Trade Association. Bookmark the permalink. Melody – thanks for bringing up the subject !! I love the rigor and accountability in organic culture. I also view organic as a functional compromise. We are looking for the best of what is possible. We live in an industrial world and must meet that challenge head on without much support and increasing toxicity. I’ve been taught that a healthy view of Organics is to see it as our opportunity to heal a broken system of food/agriculture. If we criticize Organic’s imperfection and are too stringent with Organic requirements, we might not succeed at the over all vision: We want the world to be Organic, at the very least. As the system heals, we can be diligent about making Organic more stringent !! Thanks for the comment Mindy. Please spread the word. Great commentary, Melody – Sounds like you’ve been reading Organic Revolutionary! Thanks Grace! Yes I have! Thanks for posting that juicy food for thought. Please forgive my lengthy response. The polarization of the organic community into “purists” and “sell-outs” is nothing new. The caricature of purists seeking perfection is a disservice to the well-meaning people in the community who want to maintain meaningful standards that are protective of human health and the environment. People who are placed in the purist camp have created a narrative based on the ‘conventionalization’ hypothesis. These people see the organic industry as having been taken over by cynical short-sighted profiteers who have sold out to conventional food processors, mostly through merger and acquisition. As the narrative goes, these “Sell-outs” will stop at nothing to squeeze the most profits out of organic food. In the course of doing so, they relentlessly exert downward pressure on the standards, bend the rules with undue influence and, yes, even commit criminal acts of fraud. This two-dimensional caricature of sell-outs is just as unfair and inaccurate as the caricature drawn of organic ‘Purists’ seeking perfection and gets in the way of a meaningful dialog on the many complex issues related to having organic food in a world dominated by conventional agriculture. Having been accused of being both a Purist and a Sell-out at various times in my life, I know from personal experience that it is difficult to find a meaningful middle ground when both sides are dug in convinced they are right and the other side is wrong. CEH v. Vilsack was a procedural ruling, not a substantive one. The judge decided that USDA did not properly follow rulemaking procedures. The concern—whether or not one considered it to be reasonable—was that the guidance created a loophole that allowed prohibited pesticides to be used in organic farming systems. A healthy dialog based on the facts is lacking here. Both sides are taking an ‘all-or-nothing’ approach. Let’s look at some of the facts of the case. Are there contaminants in compost? Yes, we know there are, and not only in the green waste stream of feedstocks. 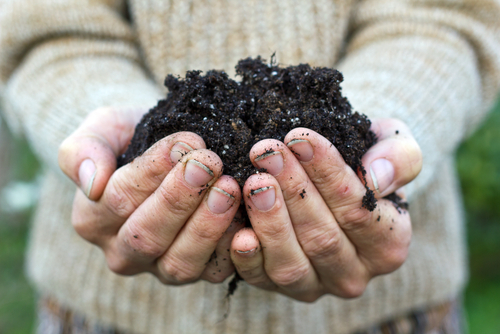 Precisely because of compost’s importance for organic farmers, other contaminants and pollutants in the feedstock have been a long-standing concern in the organic community. This was a major motivating factor behind the prohibition of sewage sludge—one of the ‘Big Three’ in the 1997 proposed NOP Rule. Feedstocks from conventional agriculture sources, such as cotton gin trash and manure from confined animal feeding operations (CAFOs) will also have contaminants. That’s a plain fact and is a part of co-existence that has been mostly ignored. Are contaminated compost feedstocks a concern for organic farming and food? Sometimes yes, sometimes no. Organic farmers are damaged by pesticides and other contaminants in compost. The greatest concern is with persistent systemic herbicides such as clopyralid and aminopyralid. These can and have damaged organic producers’ crops. The composting process can degrade some pesticides, but through volume reduction can concentrate others. In the absence of rulemaking that deals with unavoidable residual environmental contamination—as the USDA was mandated to do under OFPA—the judge’s ruling leaves us with a default zero tolerance standard. This is unrealistic and impractical, but ignoring it is no longer an option. Can we improve the standards? I think we can, but in order to do so, we need to accept that contaminants in compost are a wicked problem that has no ultimate solution and are the symptom of a much greater problem. People on both sides have framed what is essentially a technical problem in moral terms. A strictly technical approach would involve objectively determining what contaminants are of concern, the pathways they enter the composting system, and determine how these substances prohibited in organic production can be avoided on a case-by-case basis. Neither side seems to be prepared to take a purely scientific and rational approach to composting standards. A technocratic approach requires a social consensus of polarized agents that compost contamination is strictly a technical problem that requires a technical fix. That won’t happen as long as the problem is cast in polemic and moralistic terms by opposing sides. Because the environmental organizations that represented the plaintiffs in the case have such a different world-view from the farmer and industry groups that represented the amici, I don’t see such as a consensus being built for an approach that would also be expensive, time-consuming and would leave no margin for error for the USDA and its ACAs. Such a technocratic approach also does not address organic’s co-existence with conventional, which is really the root cause of the problem. Once again, the burden is placed on the organic farmer rather than on the agrichemical industry. What is truly needed is a mechanism to penalize the polluter and prevent feedstock contamination in the first place, regardless of the final use of the compost. This is well beyond the scope of OFPA and USDA’s authority. I am not advocating a purist or zero tolerance approach by any means. However, dismissing those who have called attention to this wicked problem ‘purists’ or those who want to avoid it as ‘sell-outs’ does not lead to a solution. I don’t think ignoring the problem will make it go away. The organic community needs to work together to come up with practical solutions that work for everybody. If the “Perfect” is the enemy of the “Good”, then the “Good Enough” is the enemy of the “Better”. Thank you for the sage words from someone with a lot more experience than I on the subject. It’s a sticky wicket we find ourselves in and I agree that the entire community must work together to find solutions. From a long time organic farmer’s perspective, perfection/total purity is a difficult goal to achieve. After an unpleasant encounter with these groups in the battle to help farmers keep an important tool for fighting fireblight (a disease that can devastate orchards), I became quite cynical about their intentions. People are wary of corporate organic and it’s dilution of the label, and sometimes rightly so, but these groups have used this wariness as a means to further their own ambitions and to raise money for their own organizations. The answer lies somewhere in between and the farmers who have their livelihoods on the line shouldn’t have to suffer. The FSMA has made farmers’ lives even more difficult and compost is a tricky area, but necessary to the health of the soil. Brian has done an excellent job of pointing out the challenges of dealing with commercially made compost. Thank you so much for your comment Brady. The tool for farmers should not be taken away without a thorough examination of the impact. Balance is what we should seek. The reality is that unless you have farmers willing to take the risks involved in bucking the conventional system, then there is no organic program to grow. You are confusing organic farming with the organic label. 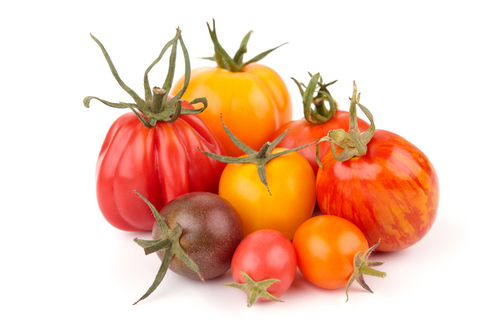 Organic farming has existed for the past 100 years as a striving towards better food. So, using CAFO manure and allowing hydroponics are “label” concerns. Real organic farmers have no truck with either because food quality is compromised. Our customers are very astute. They trust us and they buy from our farm because they appreciate that we do strive after perfection. Once they learn that polluted compost and hydroponics are part of the organic “label” you will lose customers like them and the label will be on its way to irrelevance. Organic farming, however, will continue to pursue perfection. Thanks Elliot, I appreciate your perspective on this complex issue. As a farmer who has lost their crops due to aminopyralids in compost, I recognize how important it is to protect organic farmers from herbicide carryover in compost. Banning the presence of contaminants in organic compost puts pressure on the EPA not to register these persistent products in the first place and protects organic farmers from crop failures. We can’t afford to lose any more farmers to these persistent chemicals. The aminopyralid chemicals that contaminated my farm from composted horse manure lasted for six years before they broke down. Wow, thanks for sharing that . What a sad story. I like your solution regarding the EPA but that would take some work. There is much work to be done to clean up our environment and protect farmers. These are fascinating comments. I am someone who was raised by early-adopter ecologists, I celebrated the first Earth Day when it was a Communist plot, I joined an organic food co-op when that meant investing money and hours, and I basically ate according to Frances Moore Lappé for years. Clearly, I have all sorts of organic cred and whatnot. So it’s very interesting to have a glimpse into the organic community as it is now. Yup, we’re all for that. OK, here is my beef. “Organic” seems to mean in large part “synthetic versus organic pesticide.” Where is the “scientific and rational approach” in that? When a synthetic pesticide is better for the environment than an organic pesticide, but the synthetic can’t be used because… it’s synthetic? That isn’t rational. No kidding. “Wary” is an understatement. How about “disgusted.” I am encouraged to hear that the OTA has decided to engage in more positive marketing, as opposed to “negative,” because “negative marketing” is basically fear mongering. Fear mongering is immoral, and it’s discouraging for someone like me, who grew up with organic farming being something positive, to see it taken over by such a weird bunch of folk who feel like they need to scare people to sell a product. Great comments, Scott. The story of how the standards have evolved to cater to the purist consumer demands is a central theme of my latest book, “Organic Revolutionary: A Memoir of the Movement for Real Food, Planetary Healing, and Human Liberation.” In particular, the unscientific distinction between “natural” and “synthetic” has led to much confusion–as have epithets such as “corporate” and “industrial,” I might add. You can find more information on my website: http://www.organic-revolutionary.com. What is unfortunate is that anyone who voices an opinion that isn’t in line with the purist narrative is often publically chastised until there is no room for a real dialogue. I hope you stay involved and continue to be a voice of balance.